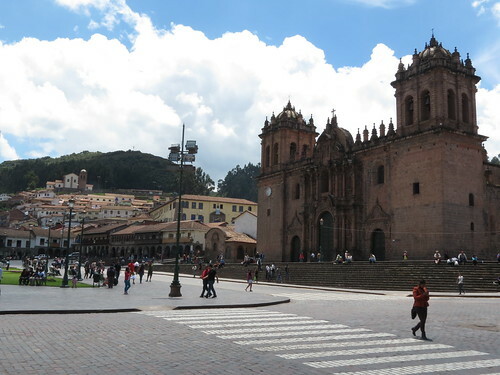 Head High Heart Strong: Cusco, Inca Heaven or Hell? 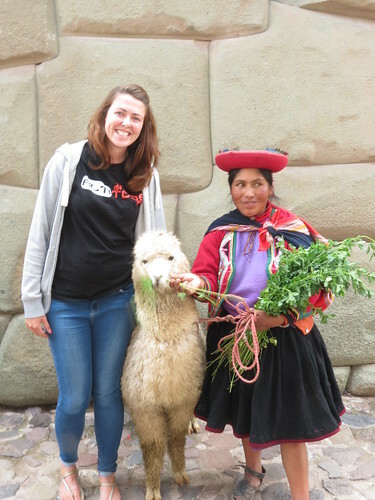 I was really excited about Cusco. 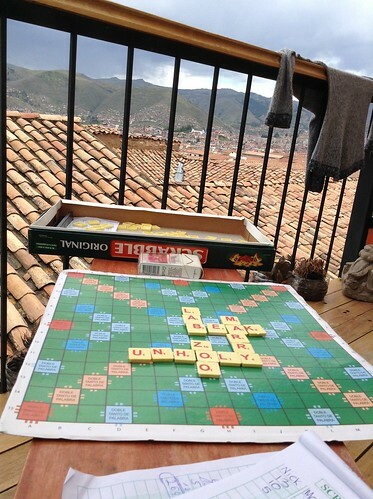 We'd beat our illness, we'd conquered the deepest canyon in the world and now we had Cusco to look forward to. 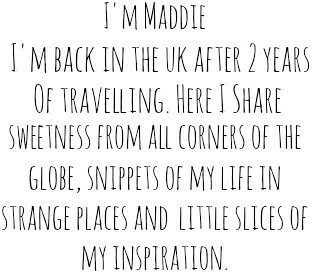 Everyone we met who was travelling in the opposite direction to us told us how fantastic it was. 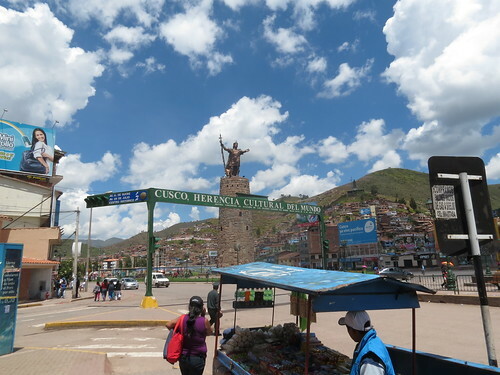 It is the old Incan Capital city and the gateway to Machu Picchu. It sounded amazing. We arrived early one drizzly morning, and went looking for accommodation. Luckily we found La Boheme, a French owned hostel with a creperie next door. This meant we got delicious lemon and sugar pancakes for breakfast included in the price of our room. 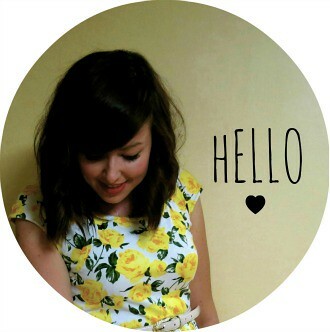 The staff were really friendly and the layout really encouraged guests to talk to each other. The only down side to this hostel was that it was a little on the chilly side, and as Cusco was wet and wintery when we got there, I found it quite hard to get warm. Feeling hungry and planning a busy day on our feet, we first headed to the infamous chicarron street. Chicharron is a deep fried pork dish. Nick had a cut of deep fried pork, while I opted to have the soup. It was really tasty and filling. Feeling full, it was time to join the free walking tour carried out by the company imaginatively called Free Walking Tour to find out what the city was all about. 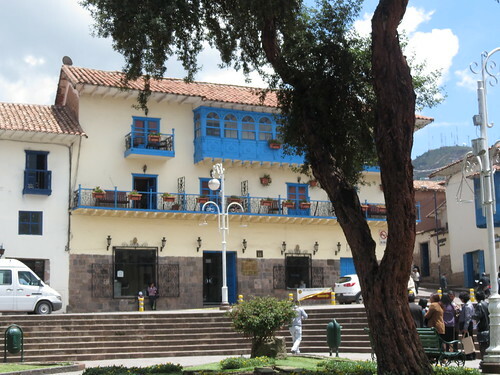 The city turned out to be really beautiful, big white buildings built on huge Incan walls, lots of craft shops and little coffee shops tucked away. I couldn't stop taking pictures. Unfortunately, after a short time, I grew really tired of the guide. I felt like the stories and tales were more speculative, and he wasn't bringing the history back to life for me. I think several other people felt this as the group number dwindled as the afternoon wore on. The tour ended at the Chocolate Museum, where a lady let us have a taste of some of the chocolate, even she commented on how bored and lethargic the group seemed oh dear! 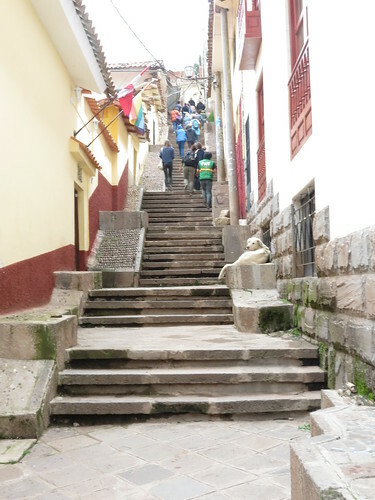 So, if you have a limited time in Cusco, I'd recommend trying to find another company who runs a similar tour, or grab a guide book and teach yourself as you walk around! 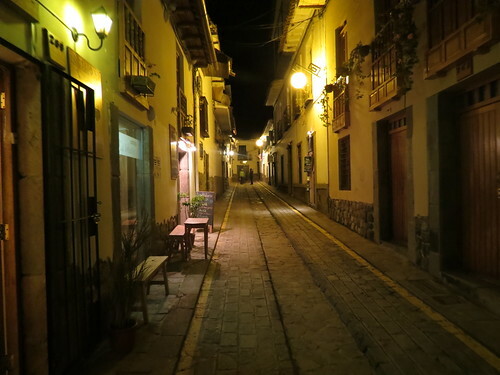 The following day we spent arranging our Cusco tour and planned a little special something for our dinner that night. 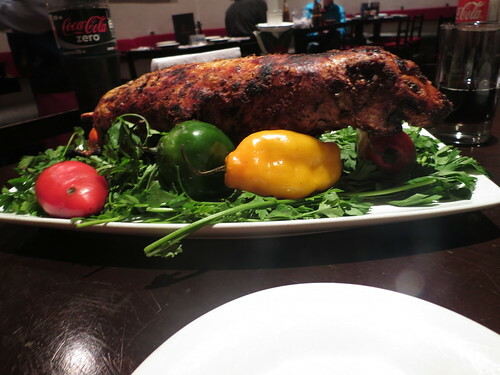 We planned to eat Guinea Pig, or Cuy as it is called in Spanish. I was a little shocked when the poor thing was presented to us on a plate. The man asked if we would like it served with the head on or off, then took it away to prepare it to eat! I don't mean to sound so negative today but the meat wasn't all that good. The guinea pig was really expensive, left us hungry, was really chewy, meat was hard to find and the skin was like chewing a tyre. I've heard a stew is better, but I wouldn't try it like this again. One place I really did love in Cusco was the bakery called Qosqo Maki. It serves cakes, breads and pastries and really nice coffee and the proceeds go towards children who live on the street. Here's one time you can eat a pan de chocolat or 3 without feeling guilty! 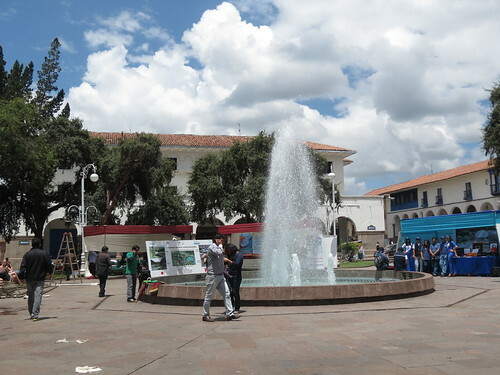 Leaving Cusco turned out to be very hard as there was a strike on public transport. The strikes went late into the night, which meant that lots of buses were cancelled and taxis were not running. Earlier in the day when we had gone to the market, we saw lots of the strikers throwing stones and spray painting cars that were still travelling around the city. We spent the afternoon playing scrabble and waiting to hear whether our bus would leave or not. It was quite tense as we went to get our night bus, but we got out safe and sound. 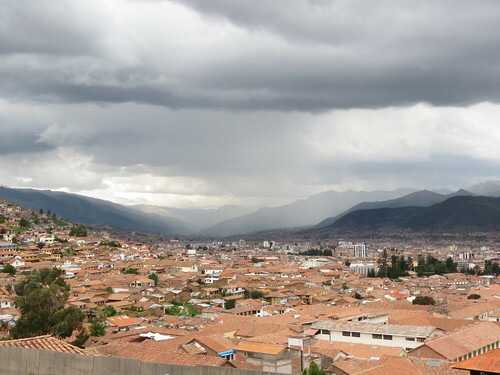 In general, Cusco is a really lovely city. It's easy on the eye and it's very accessible to tourists, however, I think there are other places that are equally as beautiful, without the barrage of street sellers who are desperately trying to make money and approach you every couple of minutes. We did it, we tried the food and saw the sights, but I was very happy to leave again.